Sometimes, when you feel awful, you just don’t have the energy to get yourself to the doctor’s office. Fortunately, there are virtual tools like MemorialNow that can provide a doctor’s opinion and relief. Meleah Berkowitz had fought off a sinus infection for a week. She struggled with congestion and none of the over-the-counter medications were providing relief for her symptoms. She downloaded the MemorialNow app while her two young children were eating dinner. She input her symptoms and concerns along with everything she had tried. 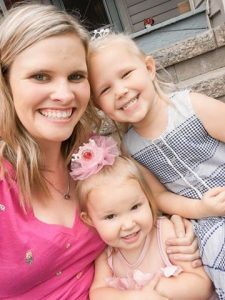 “It was such a huge help to be able to ‘see’ my doctor while sitting on the couch reading to my kids,” said Meleah. She received a diagnosis and treatment plan within twenty minutes. The doctor sent her prescription to the local pharmacy, and she was able to start treatment that evening. Eileen Siler also struggled with nasty cold symptoms including stuffy nose, drainage in the back of her throat, cough and shortness of breath. She used MemorialNow for an initial diagnosis and then had her medication delivered right to her desk at work! Click here for info about the MemorialNow app.